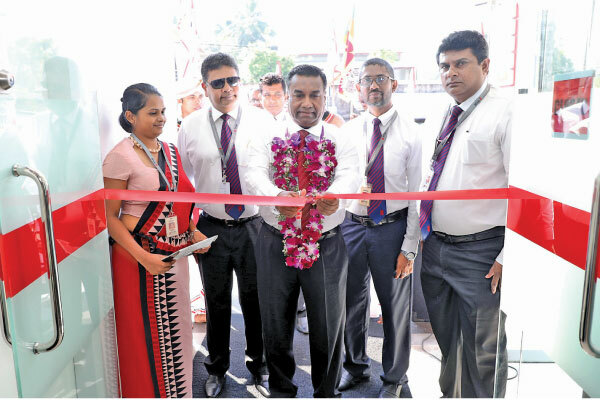 Seylan Bank opened its latest branch in Padukka, with a focus to facilitate the growth and livelihood development of the people in the western region. With this establishment, the Bank has strengthened its branch network to a total of 172 branches, reinforcing the Bank’s expansion strategy to offer financial inclusion to all Sri Lankans. The Padukka branch is located at No. 36/A, Colombo Road, Padukka and will operate from 9.00 am to 3.00 pm from Monday to Friday. Further, the branch will offer tailor-made financial propositions to individuals, emerging entrepreneurs, and businessmen in the area, along with advisory support to fulfil their aspirations in a hassle-free manner. Supplemented by latest digital and front end services, Seylan Bank’s Padukka branch will continue to enrich the lives of both Retail and corporate customers by providing a multitude of Retail Banking services; ranging from Current and Savings Accounts, Children’s Savings Accounts, Fixed Deposits, Housing Loans, NRFC/RFC Accounts, Leasing facilities, Credit and Debit Cards, and Mobile Banking services. Seylan Bank, operates with a vision to offer the ultimate banking experience to its valued customers and is evolving rapidly with new technology, innovative products and services to set a new benchmark in the banking sector. The Bank has expanded its footprint with 172 branches across the country and boasts an ATM network of over 200 units covering crucial locations. Seylan Bank has a growing clientele of SMEs, Retail and corporate customers therefore being recognised in the global arena for its excellence on social media.